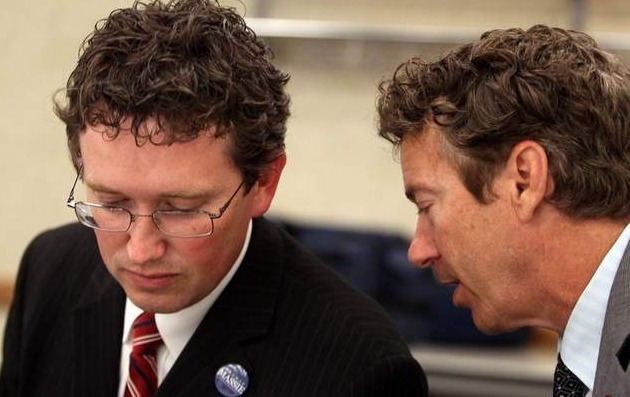 WASHINGTON – Congressman Thomas Massie (R-KY) introduced H.R. 133, the Citizens Protection Act of 2013, which would repeal the Gun Free School Zones Act of 1990. The bill, originally introduced by Rep. Ron Paul (R-TX) in 2007, repeals the Gun Free School Zones Act (GFSZA) of 1990, which made it “unlawful for any individual knowingly to possess a firearm at a place that the individual knows, or has reasonable cause to believe is a school zone.” In 1995, the Supreme Court held the GFSZA unconstitutional, which prompted Congress to amend the bill in 1996. The Supreme Court has not ruled on the constitutionality of the amended Act. Massie’s bill comes on the heels of mounting pressure from President Obama and others for heightened gun restrictions. Republican Congressman Amash ashamed of Boehner? Is IRS Targeting Obama’s Enemies?